The Radiology curriculum prepares the graduate to be a radiographer, a skilled health care professional who uses radiation, to produce images of the human body. Course work includes clinical rotations to area health care facilities, radiographic exposure, image processing, radiographic procedures, physics, pathology, patient care and management, radiation protection, quality assurance, anatomy and physiology, and radiobiology. 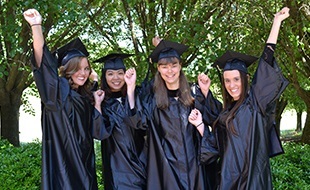 Graduates of this accredited program are eligible to apply to take the American Registry of Radiologic Technologists' national examination for certification and registration as medical radiographers. Graduates may be employed in hospitals, clinics, physicians' offices, medical laboratories, government agencies, and industry. The application period for Fall 2020 entry will open June 1, 2019. Applicants seeking admission into the Radiography program must complete steps 1 through 4 in entirety by February 15, 2020 at 5:00 pm in order to be considered for acceptance for the Fall Semester 2020. Print this admission procedure for your records to track completion of all steps. Refer to the frequently asked questions document found on the College website or contact Success Coach/Advisor for Allied Health Students, Melanie Alexander at 704-991-0166 or malexander0134@stanly.edu. Submit a completed application electronically for the Radiography program (A45700) of the fall you wish to enroll by visiting the SCC homepage, www.stanly.edu, and clicking the link "New Students: Start Here". Application submissions are free of charge. If you wish to take general education courses for the RAD program prior to admission, then an additional application must be completed as an Associate in General Education (AGE) with radiography interest applicant for the term and year you plan to begin general education courses. Please note this does not take the place of an application for the Radiography program, nor is it required to be enrolled in the Radiography program. Submit to the Admissions Office an official high school transcript and official post-secondary transcripts for all institutions attended. Applicants who obtained a GED/Adult High School diploma must submit an official GED/AHS transcript and a high school transcript even if he/she did not complete high school. After the Admissions Office has received and evaluated other college transcripts, applicants may view transfer credit awarded by clicking the My Documents tab in WebAdvisor. For questions related to transfer credits, call the records department at 704-991-0331. Submit evidence of successful completion of one unit of biology, algebra/integrated math, and chemistry in high school with a grade of "C" or higher or the equivalent at a post-secondary institution (BIO 090 or higher, MAT 070/DMA 040/Tiers 1 and 2 or higher, CHEM 090 or higher). 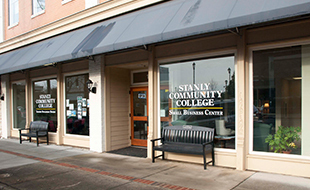 Applicants wishing to complete these credits at other colleges should contact the Admissions Office at Stanly Community College to ensure that the credits are acceptable. To determine if credit was awarded for these required courses, view the My Documents tab in your WebAdvisor account or contact your Success Coach/Advisor. For questions regarding eligibility to enroll in ENG 111 and MAT 143, contact your Success Coach/Advisor. Requirements 1 through 4 must be completed no later than February 15, 2020 to be considered for acceptance into the RAD program fall entry 2020. Take the Test of Essential Academic Skills (TEAS) after successfully completing admission requirements one and four above. Only those applicants who successfully complete Steps 1 and 4 will be eligible to take the TEAS exam. Applicants eligible to take the TEAS exam will be notified through their student email account by the Admissions Office. This email will include steps for signing up for the exam. Applicants may test as often as the exam is offered. There is a minimal fee for the exam, and test scores are valid for a period of two years. All eligible applicants must take the most current version of the TEAS exam at SCC; TEAS scores are not accepted from other colleges/universities. There are no required scores for the TEAS test. It is used strictly as a ranking tool for applicants. TEAS prep courses are periodically offered through SCC's continuing education division. Contact Rita Love at 704-991-0328 or rlove9827@stanly.edu for upcoming prep courses offerings. For the applicant who has completed any college level courses taken with SCC prior to admission into the RAD program, a minimum cumulative GPA of 2.0 is required. Submit SCC medical form. The medical form will be mailed to applicants who are conditionally accepted to the RAD program and must be completed by a physician, physician's assistant, or a nurse practitioner by the date given on the conditionally accepted letter. Submit evidence of current certification in CPR covering infant, child, adult, and AED or CPR for the Healthcare Provider that is endorsed by the American Heart Association. Current CPR certification is required throughout the student's attendance in the Radiography program. 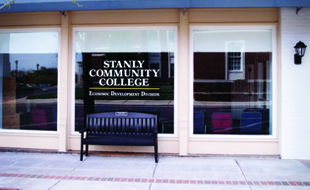 Applicants accepted for admission to health services programs at Stanly Community College are required to complete a criminal background check and drug screening after notification of acceptance and prior to participation in on-site clinical training. Based on the results of the checks, hospitals or clinical affiliates where the student will participate in on-site training may deny access to their facility, resulting in the student's inability to complete the clinical portion of training. Students unable to complete the clinical portion of his or her training will be unable to progress in the program. Students are responsible for paying all costs associated with this requirement. Background checks and drug screenings will be conducted by a third party and coordinated by SCC's Radiography program. The Radiography program admits a maximum of 20 students each fall semester. Applicants seeking admission to the Radiography program will be ranked based on TEAS scores and offered admission based on rank order. Those applicants not admitted will be assigned a number on an alternate list. Applicants accepted for admission must complete all admission requirements by the date specified in their acceptance letter. Applicants who fail to complete all admission requirements by the deadline specified in their acceptance letter are subject to be removed from the acceptance list and replaced by applicants on the alternate list. Applicants on the alternate list are ranked and are notified of their position. As vacancies arise on the acceptance list, applicants on the alternate list are contacted in rank order and offered acceptance to the program. Applicants on the alternate list who are not offered acceptance to the Radiography program for the year in which they have applied to enter will NOT be carried over to an alternate list the following year. Instead, the alternate list on which their name appeared will be dissolved and each applicant must submit another application if they wish to be considered for admission in a subsequent year. Applicants to the Radiography program are advised to familiarize themselves with all admission requirements for this program of study. If an applicant has any questions regarding these requirements, he or she is encouraged to contact the SCC Admissions Office for clarification. Note: Admission requirements are subject to change. Please contact the SCC Admissions Office for a current list of requirements for your intended year of entry.